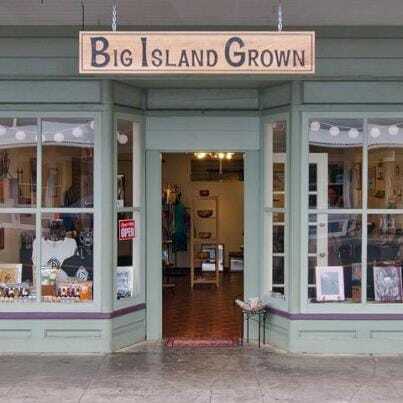 In addition to an online store on this website and an Etsy Store–I offer my work in two galleries; one on the Big Island and the other in Kauai. They offer metal clad Hawai’i island chains which are comparably priced to the online venues. Through these galleries the caliber of my island chains can be seen and purchased. Initially it was thought that galleries would be the pathway to “making it happen” and to a degree this is true. However, when one factors in the complexities of dealing with another party, and you are unable to spur sales or work with customers directly–it can be much harder. Thus far two galleries have been very good (both galleries offer many types of local goods of excellent quality) to work for in the way of terms, patience throughout the years whilst I honed my craft; and otherwise managed to matriculate to a more professional front. With such said there will be a greater selection online, however, prices at both galleries will be very reasonable as there are no lead times, and my Hawaiian islands are physically there in person. With online ordering you can purchase greater selection of artwork, have direct contact with the artist, and a solid return policy that less than 2% of customers take. Regardless of your choice rest assured the quality, value, and detail of my work will not disappoint. If you have any questions please feel free to call, text, or email VIA the contact page.